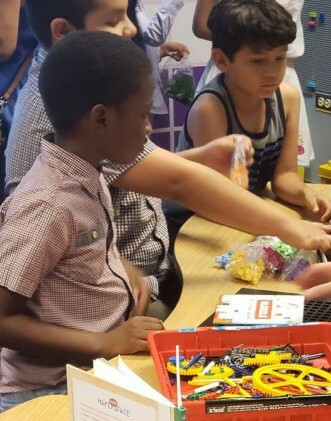 On June 20, 2018, with the generous support of Heart of America and AbbVie , Maxwell gained a new Makerspace! In addition to a Makerspace, volunteers spruced up the front walkway, painted a mural and added 4 colorful picnic tables to the back ! Come by and visit our amazing new spaces in August!